Is your regular skincare regime in need of an upgrade? Here at HQhair we know that the odd exfoliation and daily moisturiser doesn’t always do the trick long term. Plus, even after removing your makeup before bed, you still wake up with patches on your pillow in the morning…how does it even happen?! The FOREO LUNA will help you to achieve the ultimate cleanse. Also adapted in to different models to suit specific skin types, including sensitive and combination skin, your complexion will show improvement in as little as 3 days so you can reap the benefits of a healthy glow! 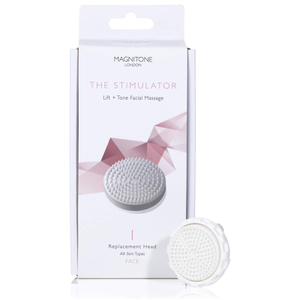 For perfectly polished and exfoliated skin, Magnitone London is the number one investment. 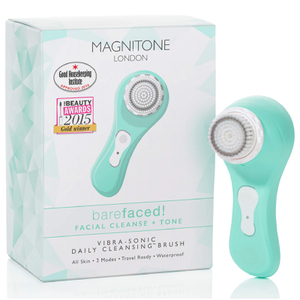 With different brushes available to suit a multitude of skin types, your Magnitone will become your best friend, ours definitely is! Check out the full range of electrical skincare gadgets here at HQhair with free delivery!